thanks to yeohweping and angel2nyt for the press con pics nice! so confusing they keep contradicting themselves. but now its clear we have the pics. ohhh too bad sad its a different Minwoo, but i guess he fits the bill. JHW sure looks different here, but still im gonna look forward to it. It's only a mini series with 16 Eps. This drama will show on every Wednesday and Thursday night, Korea Time : 09:55 pm to 10:00 pm. The 1st eps will start to air on 15 May 2007, next Wednesday night on MBC tv channel. As you all know that the supporting male actor will be LEE MinWoo (actor from Pure 19), he is not from ShinHwa. 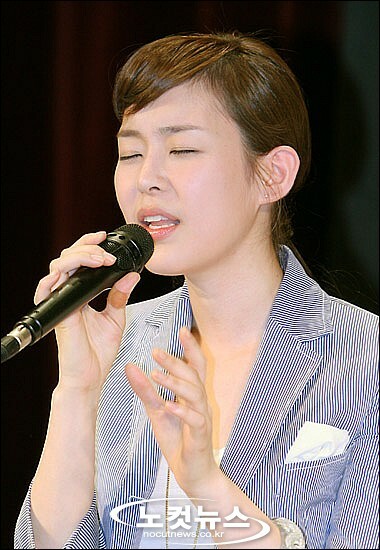 I liked Lee HaNa, she is such a talent actress, loved to hear her singing too. Can't wait to watch this drama. Its adorable on him! Can't wait to see this. Its a comedy right? awww cute pics... yup i realized it was the other Minwoo upon press con.. its just that many contradicting reports have come out on this.. can wait for this next week.. aja aja to DFansubs! this series looks really hilarious cant wait!!! hurm, don't wanna give a judgment before watching the man hmself. But yeah, Minwoo does look old. hopefully he's not photogenic, that's all. which lee min woo?? the one from youth with angry face and pure 19? yes. not the shinhwa one. weeeiiii cant wait for episode 1!! be sure to post when the first episode ends! i wanna know how it is! Some caps of Episode 1. Anybody watched it yet? Any good? yeah im curious too! was it any good ?? I just watched a little bit of the first episode and it seems so fun. Lee Ha Na is so goofy & cute. Please consider joining DF... all members are considered permanent, unless they indicate that they would rather not be, and all enjoy full privileges of being a DF member. We have VERY flexible deadlines, and are a friendly, laid-back group. Though we'd like to have more speedy releases, we realize that rushing severely affects our quality, and would rather get the best quality subs out to the fans, rather than something mediocre due to time constraints. We, of course, are always recruiting for our other positions (Editors, QCers, timers, and any experienced encoders are welcome to contact us as well)!